Beaches are the perfect place to spend your summer vacation. Thinking of a beach usually reminds us of beige coloured sand and scorching sun. But some beaches are exceptional; they are so beautiful that you can’t stop admiring their magnificence. Here are the 12 best beaches in the world that are simply unique and a must visit! 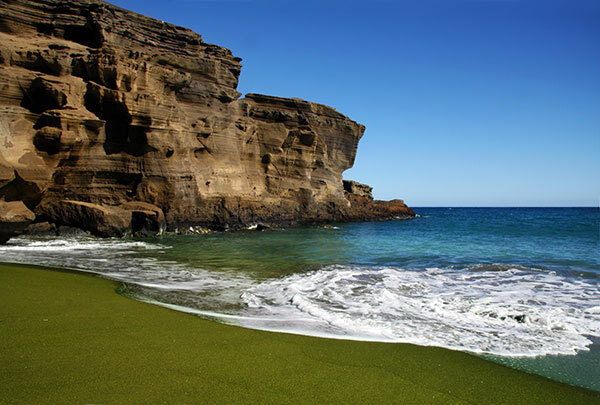 With mineral olivine coming from the cinder cone, this exotic beach radiates green olive coloured sand, making this beach one of the four beaches in the world with Green Sand. 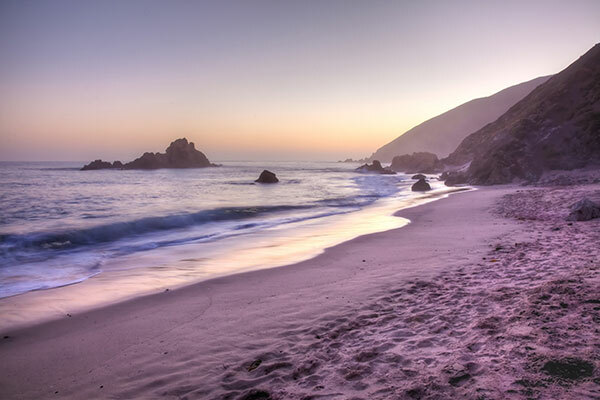 Pfeiffer Beach, Big Sur, California, U.S.A.
Apart from the beautiful view, this beach offers exotic tint of purple in the sand and not the usual beige. The tint comes from mineral quartz combined with manganese garnet deposits. 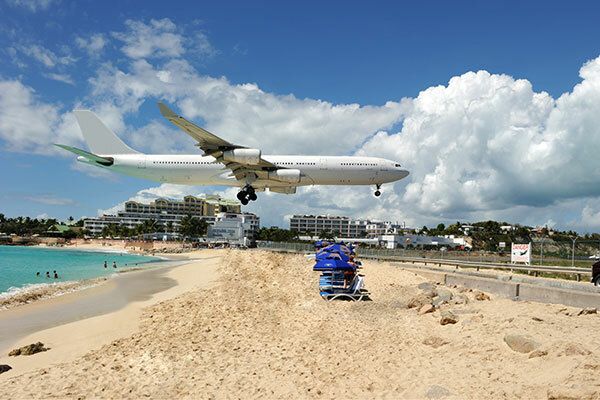 Adjacent to the Princess Juliana International Airport, this beach is unique as it is one of the few places in the world where aeroplanes can be seen in their flight path just outside the end of the runway. Watching aircraft pass over the beach is a very popular activity here, and most of the nearby restaurants display the flight timings. 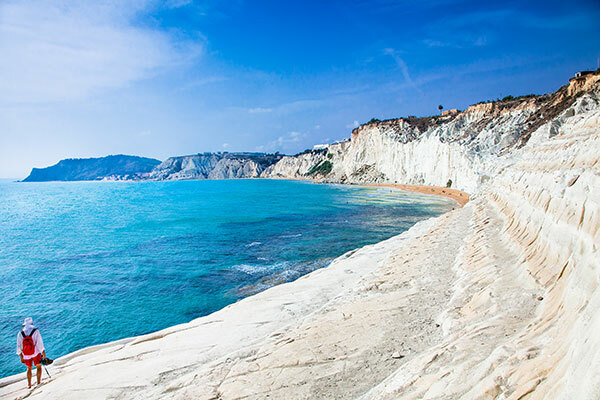 Walk down the steep sandy-white trails that lead to a unique beach known as Scala Dei Turchi ‘The Turkish Steps’. 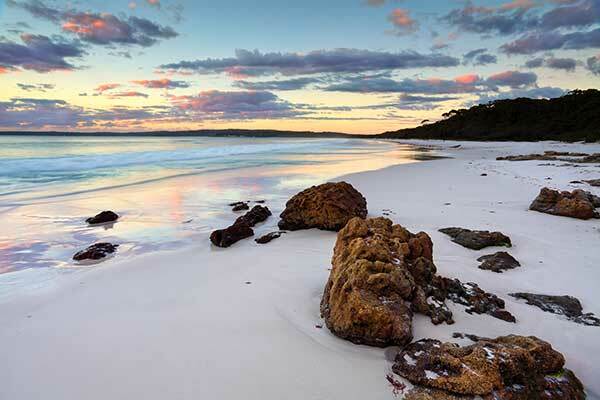 Hyams beach holds a Guinness Book of World Records for the whitest sand title. Apart from this, the crystal clear water and the beautiful view adds appeal to this beach. Australia is home to some of the best beaches in the world and our Australia holiday packages are tailor-made for beach lovers. 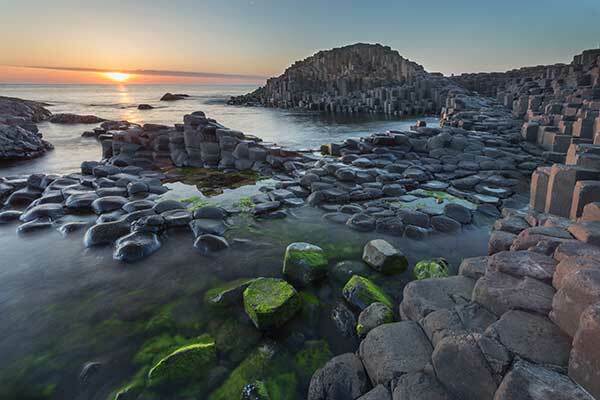 The beach is surrounded by interlinking basalt columns that jut upwards out of the beach. 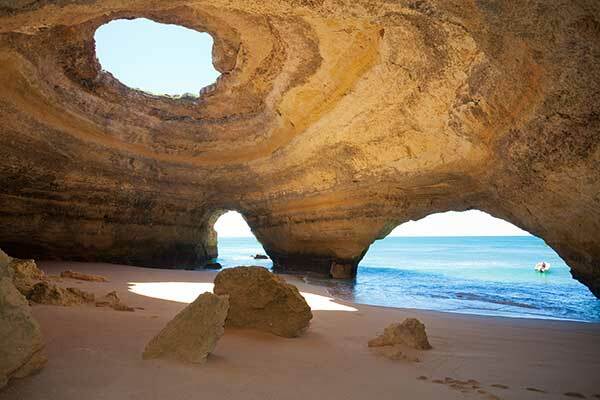 Towards the southern coast in the Algarve region in Portugal, you’ll see a complication of magical sea caves located just in the corner of a beach in the tiny town of Benagil. Explore the caves and isolated beaches in the area by renting a boat. 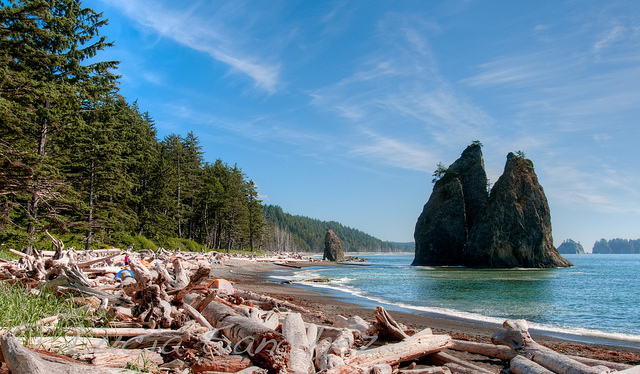 This beautiful scenic beach is located off the Olympic Coast in Washington State and is easily accessible. You can either camp on the beach or hike around the Olympic National Park. 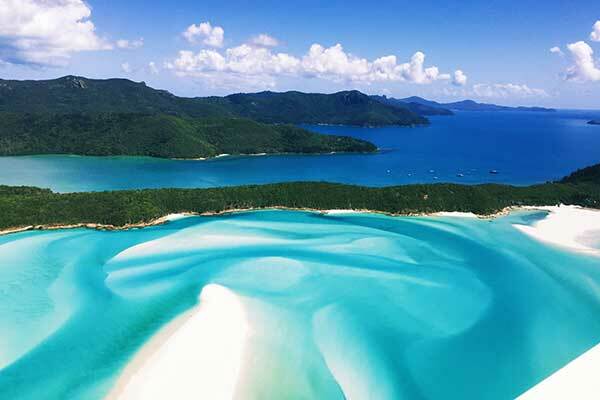 Located on Whitsunday Island, Australia, this beautiful beach is accessible only by boat. The sand is white in colour due to 90% of pure silica, and you don’t even need to wear any footwear as the sand doesn’t retain heat even on hot summer days. Your Australia tour package will give you a chance to revel in the beauty of the whitest beach on earth. Visit one of the best beaches in the world through Maldives Holiday Packages. 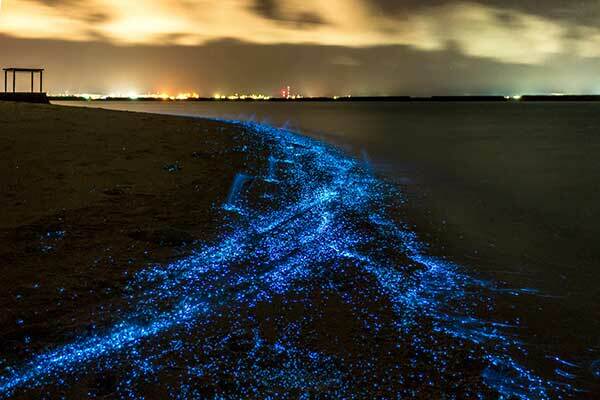 It is situated in Vaadhoo, Maldives, the water on this beach at night turns bright blue due to bioluminescent phytoplankton. 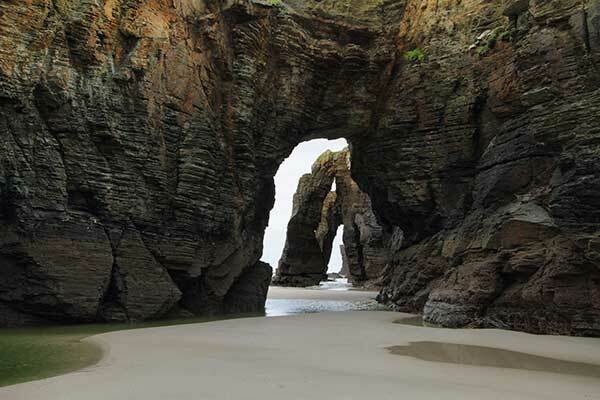 Walk underneath these unique natural rock formations, similar to the soaring arches of a cathedral at this beach. Searching for a sauna beside the beach? Your search ends here! 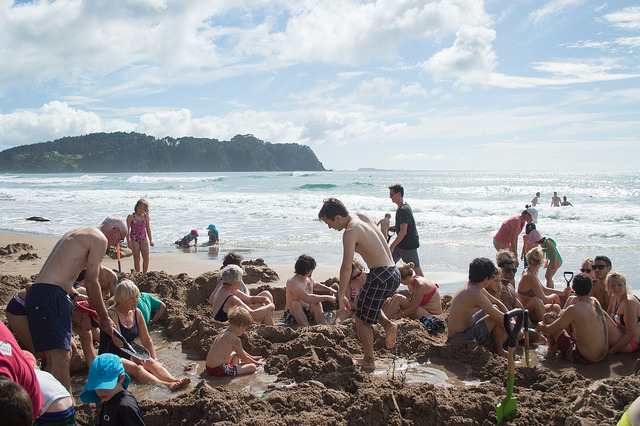 Dig a shallow pool at Hot Water Beach and enjoy your very own sauna from the naturally heated minerals rising up. Book one of our New Zealand holiday packages and escape into the some of the best beaches of New Zealand. If you have been to a beautiful beach which you think should belong on this list, please let us know in the comments below. Some beaches are so beautiful that you can’t stop admiring their magnificence. Here are the 12 best beaches in the world.